As of March 2017, the IRS will not even consider an Offer in Compromise (OIC) if you have not filed all of your required tax returns. They will keep any payment you send and apply it toward you tax balance, then send the OIC application back to you, along with the application fee. File your back tax returns before you even think about compromising your tax debt. Doing so will also give you a more accurate picture of how much tax debt you owe. Taxpayers may be aware of the OIC program, as well as the availability of installment agreements to pay off tax debt. 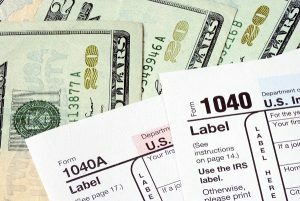 Many taxpayers will be able to use one of these programs to get their back taxes under control. But how do you know which one is a better option? The answer depends on how much tax debt you owe, your income, expenses, assets, and other factors. This is where a tax attorney can help point you in the right direction, so you don’t waste time applying for a settlement that you are unlikely to receive. Of course, there may be even more options available, including disputing the underlying tax assessment or the running of the statute of limitations. Many of these strategies can be combined, resulting in a partial elimination of tax debt, penalties, or interest, with the remainder being settled via an OIC or installment agreement. For many taxpayers, it is well worth the investment to request a consultation with a tax settlement attorney to make sure that they are getting the best possible settlement from the IRS. Filing a power of attorney with the IRS and having your tax lawyer act on your behalf will also generally result in speedier communications from the IRS, and a quicker resolution of your case.